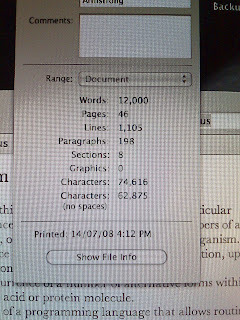 I’ve cracked the 12 000 word barrier. Although that’s not quite accurate count as the count includes references and block quotes it’s still a milestone. If I wanted to hand my thesis in now I could. I just wouldn’t get a flash mark.